Please use the form below for your enquiry. We’ll be happy to help! If you would prefer us to call you back please let us know in the message box and we will get back to you as soon as we can. Our approach is flexible and further to demand we now have a Live Chat option. This allows you the opportunity to speak with one of our friendly experts. It may be that you’d like to talk through something or organise a site visit. Please feel free to use our Live Chat to make your enquiry. “From the moment that I was introduced to the team at The Playground Company, I felt instantly assured. The process of designing a playground was new to me and I was supported through this process incredibly. We appreciate that our clients lead busy lives. It is important, therefore, that you have a range of contact options. You are then able to select the best-suited for you. Does your playground equipment fall in line with current safety requirements? Yes, absolutely. Safety is our number one priority. All of our equipment adheres to the strictest safety standards and we are able to offer more information about these via our website. Will I be able to see what the playground design will look like before starting work? Yes; once we have discussed your ideas we will then create a design for you to view. We are able to produce a 3D design so that you can truly get a feel for what the end result will look like. We will not proceed unless you are completely happy and satisfied that the design meets your exact requirements. Will you help me create an exciting area that will stand the test of time? Of course; it may be that you have design ideas. We will accommodate these where possible and may offer guidance if we feel that it can be improved on. This support is offered to all of our clients as we enjoy providing detail that will make sure that the end result is the best-possible. Our equipment is installed with the theory that it should stand the test of time. Playgrounds require substantial funding and our designs and products are provided with the specification that they must withstand heavy use and remain looking great. Do you offer guarantees for your products? Yes; we have a huge range of products and each of these are provided with a guarantee. These guarantees vary depending on the product, however, more information is available here. If you have any questions whatsoever please don’t hesitate to get in contact. 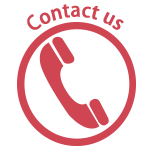 We are here to help; contact us!